If you are unfamiliar with this advanced treatment method, we start by evaluating your unique foot structure and gait and identifying any areas that contribute to problems. After this assessment, we inject an FDA-approved, medical-grade silicone that serves to provide extra internal cushioning and comfort to those areas that otherwise put the foot at risk for problems. The silicone we use at Foot and Ankle Wellness Clinic is clear, colorless, and chemically inert (inactive). It is a synthetic oil that has been classified by FDA as “an injectable material” (which means that it is safe to be injected into the human body). In addition to being safe, silicone implants are also long-lasting. Although booster implants may be needed, this does not happen until years after the initial treatment. When the silicone is injected, it both combines with fatty tissue found naturally in the foot and induces the formation of new collagen fibers. Collagen fibers are responsible for providing the primary supportive network for both skin and soft tissues. When the silicone merges with fatty tissue and creates collagen it provides a nest of cushioning that can help reduce the risk of various pressure related medical conditions. The lack of fatty tissue can become a major problem as humans age. Over time, the plantar fat pad becomes a victim of age-related degeneration, thereby giving feet less protective cushioning than intended. Additionally, multiple cortisone injections can cause tissue degenerations and subsequently, pressure related pain. This treatment has many benefits, but perhaps the greatest is the way that it can help to prevent diabetic ulceration. Individuals who live with diabetes are at heightened risk for having minor problems become major medical emergencies. This is the case, with diabetic ulcers, that can develop when forces are not equitably distributed across the foot, and an area that receives excessive pressure becomes damaged. Our liquid silicone foot implantation can be placed strategically in those areas that would otherwise be subjected to abnormal force loads. Doing so helps keep diabetic patients safe from a condition that could potentially lead to ulceration, gangrene, and possible amputation. It is only natural for patients to inquire about the risks that come with this particular treatment option and we are always pleased to let them know that issues are quite rare. When they are present, issues are usually limited a painless shifting or moving of the silicone over time or perhaps a slight discoloration. There is a chance that skin tags or lumps will develop and need to be removed, but this tends to be rather unlikely. 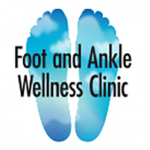 Foot and Ankle Wellness Clinic is proud to offer many different non-surgical foot care services, including liquid silicone foot implantation, for our patients from across the Southern California community and beyond. We are committed to providing state-of-the-art treatment methods so our patients can experience optimal pain relief and safety. 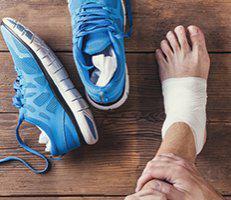 Depending on the nature of your foot or ankle issue, we may recommend this procedure, but that discussion can only begin when you come see us at either of our southern California offices. Contact us for more information by calling (323) 937-6903 for our LA office or (818) 240-7673 for our Glendale office.